RA4W is a VPN provider known for its decent connection speeds and budget-friendly prices. Its main advantages include the usage of the OpenVPN protocol and its strict zero logs policy. However, its security configuration can definitely use some improvement, especially when it comes to encryption levels, protection against DNS leaks, and killswitch support. If you want to learn all about the company and its service, keep reading our comprehensive RA4W VPN review and discover if it meets your online security and privacy requirements. RA4W VPN has a pretty plain client that features connection information on the main screen alongside a drop-down list of available servers. On the left side, you can access different tabs, including your personal dashboard, statistics, settings, and about. While testing this VPN for the purposes of our RA4W VPN review, its performance varied depending on the server we used. Some of the server locations provided us with quite decent connection speeds while others were disappointingly subpar. All in all, our testing phase revealed a VPN that can meet the demands of average VPN users. However, RA4W VPN might not be the best solution if you’re performing data-heavy tasks on a regular basis, including online gaming, HD streaming, and torrenting. We didn’t experience any over-the-top speed fluctuations on any given server and we didn’t have any problems with sudden disconnects. However, we did notice our DNS leaking. The official FAQ section on the site features a manual on what to do if you spot a DNS leak, but the proposed solution just didn’t work for us. 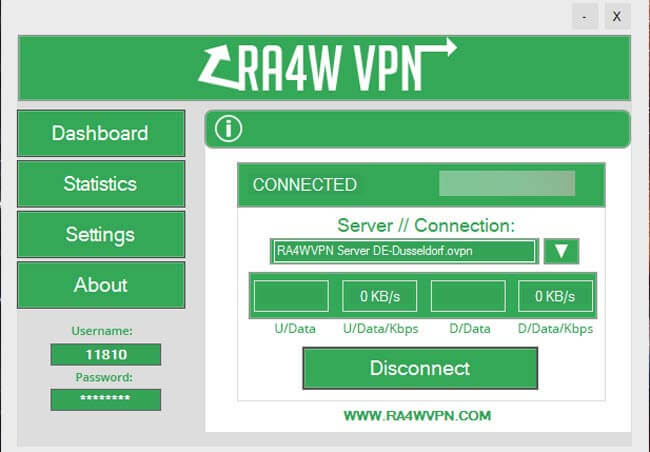 RA4W VPN currently supports Windows, Mac OS X, Android, iOS, Linux, and routers (Tomato, DD-WRT, and AsusWRT). This offers a lot of flexibility when it comes to using your VPN across any number of different platforms and devices. RA4W VPN is not a feature-heavy VPN service by any stretch of the imagination. It currently works with an unspecified number of servers spread across 33 locations worldwide. This is not ideal, especially with performance fluctuations on different servers. The company claims it can bypass geo-restrictions on the most popular sites, but it cannot unlock platforms like Netflix US, Hulu, and BBC iPlayer. When it comes to torrenting and P2P file sharing in general, RA4W allows it with some limitations. BitTorrent-based apps cannot be used on US, London, and Amsterdam servers due to DMCA and other complaints. On the other hand, Russian and Romanian locations are pretty P2P-friendly, so the company advises its customers to use them when torrenting. The software supports unlimited simultaneous connections, but only one device can be connected to any given server. This basically means that if you want to connect a couple of different devices at the same time, you have to use different servers. This can potentially be a problem if not many RA4W servers work well for you, at which point the unlimited number of simultaneous connections means next to nothing. RA4W VPN is based in the US, which is one of the worst possible locations for a VPN service. Having said that, the company does implement a strict no-logging policy, so even if served a warrant, it simply wouldn’t have any user data to hand over to the government and its agencies. As for connection protocols, the company features only OpenVPN, which is currently the safest and fastest option. Until recently, RA4W used Blowfish-128 CBC cipher but has now switched to AES completely. It combines this military-grade encryption with RSA-2048 handshake and SHA1 authentication. Note that old VPN files won’t work anymore, so you’ll have to download the updated ones from the official RA4W website. RA4W VPN doesn’t have a killswitch feature, so you will remain connected to the Internet even if your VPN gets compromised for whatever reason. The company provides 24/7 user support. Unfortunately, there is no live chat feature, so the only way to contact the support team is through a dedicated ticket system. The support is rather slow and can take up to an entire day to answer your questions. On top of this, the support team members aren’t all that helpful, especially when it comes to technical matters. The official website does feature some setup manuals and a modest FAQ section, but this too needs a lot of work in order to be really useful to users. The company currently accepts MasterCard, Visa, American Express, PayPal, and Bitcoin. Generally, RA4W doesn’t offer refunds, except in cases of non-delivery and major defects and if the received product doesn’t match the official description. In those cases, you have seven days from the date of your purchase to make your refund request. As we wrap up this IVPN review, here’s a quick overview of the features that wowed us and the aspects of the service that could use some improvement. Our ratings are the result of an objective and independent evaluation of RA4W VPN , generating the final rating that reflects the overall quality of the company. Ratings may change as the service changes. RA4W VPN user rating based on 2 user reviews. 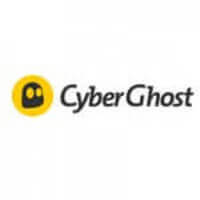 We found 1 verified RA4W VPN discount for April, 2019. Get this crazy deal and don't think about VPNs anymore! Sign up and we’ll let you know about future RA4W VPN promo codes.